Remember, remember, the Fifth of November, the Gunpowder Treason and Plot. I know of no reason why the Gunpowder Treason should ever be forgot… But what of the man? 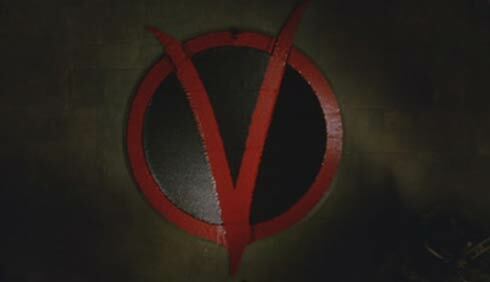 Yesterday, after quite along gap, I sat down to watch this movie, V for Vendetta. I got the feeling of reading Macbeth. V for Vendetta is the story of a masked fighter who calls himself ‘V’ and who fights against the corrupted and monarchist government. This movie got action, dialogues, a twisted romance (never seen a movie in which the lover shaves the head of his girl, lol), and suspense. Total thriller. The movie shows the strength of unity and shows how one man can change the world with an Idea. As he says, Beneath this mask there is an idea, and ideas are bulletproof. If you watch movies for the story and the dialogue more than the action or romance, V for Vendetta is a must watch. No wonder it has an IMDB rating of 8.2!